From the church historians, and his works collected by Dom Touttee in his edition of them at Paris, in 1790. St. Chrysostom shows that the destruction of Jerusalem is to be ascribed, not to the power of the Romans, for God had often delivered it from no less dangers; but to a special providence which was pleased to put it out of the power of human perversity to delay or respite the extinction of those ceremonial observances." SAINT CYRIL, CONFESSOR, ARCHBISHOP OF JERUSALEM — 315-386 A.D.
Cyril was born at or near the city of Jerusalem, about the year 315. So perfectly was he versed in the holy scriptures, that many of his discourses, and some of these pronounced extempore, are only passages of the sacred writings connected and interwoven with each other. He had read diligently both the fathers and the pagan philosophers. Maximus, bishop of Jerusalem, ordained him priest about the year 345, and soon after appointed him his preacher to the people, likewise his catechist to instruct and prepare the catechumens for baptism; thus committing to his care the two principal functions of his own pastoral charge. St. Cyril mentions his sermons to the faithful every Sunday. Catechumens ordinarily remained two years in the course of instruction and prayer, and were not admitted to baptism till they had given proof of their morals and conduct, as wolf as of their constancy in the faith. This office St. Cyril performed for several years; but we have only the course of his catechetical sermons for the year, 348 or 347. Perhaps the others were never committed to writing. He succeeded Maximus in the see of Jerusalem about the end of the year 350. The beginning of his episcopacy was remarkable for a prodigy by which God was pleased to honor the instrument of our redemption. It is related by Socrates, Philostorgius, the chronicle of Alexandria, &c. St. Cyril, an eye-witness wrote immediately to the emperor Constantius, an exact account of this miraculous phenomenon: and his letter is quoted as a voucher for it by Sozomen, Theophanes, Eutychius, John of Nice, Glycas, and others. Dr. Cave has inserted it at length in his life of St. Cyril. The relation he there gives of the miracle is as follows: "On the nones (or 7th) of May, about the third hour, (or nine in the morning,) a vast luminous body, in the form of a cross, appeared in the heavens, just over the holy Golgotha, reaching as far as the holy mount of Olivet, (that is, almost two English miles in length,) seen not by one or two persons, but clearly and evidently by the whale city. This was not, as may be thought, a momentary transient phenomenon: for it continued several hours together visible to our eyes, and brighter than the sun;; the light of which would have eclipsed it, had not this been stronger. The whole city, struck with a reverential fear, tempered with joy, ran immediately to the church, young and old, Christians and heathens, citizens and strangers, all with one voice giving praise to our Lord Jesus Christ, the only Son of God, the worker of miracles; finding by experience the truth of the Christian doctrine, to which the heavens bear witness." He concludes his letter with wishes that the emperor may always glorify the holy and consubstantial Trinity. Philostorgius and the Alexandrian chronicle affirm, that this cross of light was encircled with a large rainbow." The Greek church commemorates this miracle on the 7th of May. Some time after this memorable event, a difference happened between our saint and Acacius, archbishop of Caesarea, first a warm Semi-Arian, afterwards a thorough Arian. It began on the subject of metropolitical jurisdiction, which Acacius unjustly claimed over the Church of Jerusalem; and what widened the breach between them was their difference of sentiments with regard to the consubstantiality of the Son, which St. Cyril had always most zealously asserted. This was sufficient to render him odious in the eyes of Acacius, who in a council of Arian bishops convened by him, declared St. Cyril deposed for not appearing, after two years' warning, to answer to the crimes alleged against him. One of them was that he had lavished away the goods of the Church, and had applied its sacred ornaments to profane uses. The ground of the accusation was, that, in time of a great famine at Jerusalem, he had sold some of the Church plate, and precious stuffs, to relieve the wants of the poor. St. Cyril, not looking upon the members of the council as qualified judges, appealed to higher powers, but yielding to violence withdrew to Antioch, and thence removed to Tarsus, where he was honorably entertained by the bishop Sylvanus, and had in great respect, notwithstanding the sentence of Acacius and his council against him. Here living in communion with Sylvanus, Eustathius of Sebaste, Basil of Ancyra and others, who soon after appeared at the head of the Semi-Arian faction, this gave rise to the calumny that St. Cyril himself had espoused it. But nothing could be more falsely alleged against him, he having always maintained the Catholic faith. He had accordingly, in 349, together with his predecessor Maximus, received the decrees of the council of Sardica, and consequently those of Nice. And we have already seen, in his letter to Constantius, that he made an undaunted profession of the Consubstantial Trinity. To which we may add, that in the council of Constantinople, in 381, he joined with the other bishops in condemning the Semi-Arians and Macedonians. And the orthodox bishops assembled in the same city in 382, writing to pope Damasus and to the western bishops, gave a most ample testimony to his faith, declaring, "That the most reverend and beloved of God, Cyril, bishop of Jerusalem, had been canonically elected by the bishops of the province, and had suffered many persecutions for the faith." Upon the death of Constantius, in 361, Julian the apostate, partly, out of aversion to his uncle, and partly in hopes to see the Christian sects. and the orthodox more at variance, suffered all the banished bishops to return. to their churches. Thus did God make use of the malice of his enemy to restore St. Cyril to his see. He shortly after made him an eye-witness to the miraculous manifestation of his power, by which he covered his blaspheming enemies with confusion. The following most authentic history of that remarkable event is gathered from the original records, and vindicated against the exceptions of certain skeptics by Tillemont, and by our most learned Mr. Warburton, in his Julian. In vain had the most furious tyrants exerted the utmost cruelty, and bent the whole power which the empire of the world put into their hands, to extirpate, if it had been possible, the Christian name. The faith. increased under axes, and the blood of martyrs was a fruitful seed, which multiplied the Church over all nations. The experience how weak and ineffectual a means brute force was to this purpose, moved the emperor Julian, the most implacable, the most crafty, and the most dangerous instrument which the devil ever employed in that design, to shift his ground, and change his artillery and manner of assault. He affected a show of great moderation, and in words disclaimed open persecution; but he sought by every foul and indirect means to undermine the faith, and sap the foundations of the Christian religion. For this purpose he had recourse to every base art of falsehood and dissimulation, in which he was the most complete master. He had played off the round of his machines to no purpose, and seemed reduced to this last expedient of the pacific kind, the discrediting the Christian religion by bringing the scandal of imposture upon its divine author. 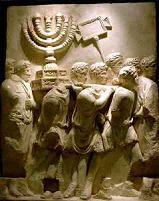 This he attempted to do by a project of rebuilding the Jewish temple. which, if he could have compassed, it would have sufficiently answered his wicked design; Christ and the prophet Daniel having in express terms foretold not only its destruction, which was effected by the Romans under Titus, but its final ruin and desolation. The religious Jewish religion was a temporary dispensation, intended by its divine author, God himself, to prefigure one more complete and perfect, and prepare men to embrace it. It not only essentially required bloody sacrifices, hut enjoined a fixed and certain place for them to be performed in; this was the temple at Jerusalem. Hence the final destruction of this temple was he abolition of the sacrifices, which annihilated the whole system of this religious institution. Whence St. Chrysostom shows that the destruction of Jerusalem is to be ascribed, not to the power of the Romans, for God had often delivered it from no less dangers; but to a special providence which was pleased to put it out of the power of human perversity to delay or respite the extinction of those ceremonial observances. "As a physician," says that father, "by breaking the cup, prevents his patient from indulging his appetite in a noxious draught; so God withheld the Jews from their sacrifices by destroying the whole city itself, and making the place inaccessible to all of them." St. Gregory Nazianzen, Socrates, Theodoret, and other Christian writers, are unanimous in what they say of Julian's motive, ascribing to him the intention already mentioned, of falsifying the scripture prophecies, those of Daniel and Christ, which his actions sufficiently evidence. His historian, indeed, says, that he undertook this work out of a desire of rendering the glory of his reign immortal by so great an achievement: but this was only an after-thought or secondary motive; and Sozomen in particular assures us that not only Julian, but that the idolaters who assisted in it, pushed it forward upon that very motive, and for the sake thereof suspended their aversion to the Jewish nation. Julian himself wrote a letter to the body or community of the Jews, extant among his works, mentioned by Sozomen, and translated by Dr. Cave, in his life of St. Cyril. In it he declares them free from all exactions and taxes, and orders Julus or Illus, (probably Hillel,) their most reverend patriarch, to abolish the apostoli, or gatherers of the said taxes; begs their prayers, (such was his hypocrisy,) and promises, after his Persian expedition, when their temple should be rebuilt, to make Jerusalem his residence, and to offer up his joint prayers together with them. After this he assembled the chief among the Jews, and asked them why they offered no bloody sacrifices, since they were prescribed by their law. They replied, that they could not offer any but in the temple, which then lay in ruins.. Whereupon he commanded them to repair to Jerusalem, rebuild their temple, and re-establish their ancient worship, promising them his concurrence towards carrying on the work. The Jews received the warrant with inexpressible joy, and were so elated with it, that, flocking from all parts to Jerusalem, they began insolently to scorn and triumph over the Christians, threatening to make them feel as fatal effects of their severity, as they themselves had heretofore from the Roman powers. The news was, no sooner spread abroad than contributions came in from all hands. The Jewish women stripped themselves of their most costly ornaments to contribute towards the expense of the building. The emperor also, who was no less impatient to see it finished, in order to encourage them in the undertaking, told them he had found in their mysterious sacred books that this was the time in which they were to return to their country, and that their temple and legal observances were to be restored. He gave orders to his treasurers to furnish money and every thing necessary for the building, which would require immense sums: he drew together the most able workmen from all quarters, and appointed for overseers persons of the highest rank, placing at their head his intimate friend Alypius, who had formerly been Pro-prefect of Britain; charging him to make them labor in this great work without ceasing, and to spare no expense. All things were In readiness, workmen were assembled from all quarters; stone, brick, timber, and other materials, in immense quantities, were laid in. The Jews of both sexes and of all degrees bore a share in the labor; the very women helping to dig the ground and carry out the rubbish in their aprons and skirts of their gowns. It its even said that the Jews appointed some pickaxes, spades, and baskets to be made of silver for the honor of the work. But the good bishop St. Cyril, lately returned from exile, beheld all these mighty preparations without any concern, relying on the infallible truth of the scripture prophecies: as, that the .desolation of the Jewish temple should last till the end; and that one stone should not be left on another; and being full of the spirit of God, he foretold, with the greatest confidence, that the Jews, so far from being able to rebuild their ruined temple, would be the instruments whereby that prophecy of Christ would be still more fully accomplished than it had been hitherto, and that they would not be able to put one stone upon another, and the event justified the prediction. Till then the foundations and some ruins of the walls of the temple subsisted, as appears from St. Cyril: and Eusebius says, the inhabitants still carried away the stones for their private buildings. These ruins the Jews first demolished with their own hands, thus concurring to the accomplishment of our Saviour's prediction. Then they began to dig the new foundation, in which work many thousands were employed. But what they had thrown up in the day was, by repeated earthquakes, the night following cast back again into the trench. "And when Alypius the next day earnestly pressed on the work, with the assistance of the governor of the province, there issued," says Ammianus, "'such horrible balls of fire out of the earth near the foundations,' which rendered the place, from time to time, inaccessible to the scorched and blasted workmen. And the victorious element continuing in this manner obstinately and resolutely bent as it were to drive them to a distance, Alypius thought proper to give over the enterprise." This is also recorded by the Christian authors, who, besides the earthquake and fiery eruption, mention storms, tempests, and whirlwinds, lightning, crosses impressed on the bodies and garments of the assistants, and a flaming cross in the heavens, surrounded with a luminous circle. The order whereof seems to have been as follows. This judgment of the Almighty was ushered in by storms and whirlwinds, by which prodigious heaps of lime and sand and other loose materials were carried away. After these followed lightning, the usual consequence of collision of clouds in tempests. Its effects were, first the destroying the more solid materials, and melting down the iron instruments; and secondly, the impressing shining crosses on the bodies and garments of the assistants without distinction, in which there was something that in art and elegance exceeded all painting or embroidery; which when the infidels perceived, they endeavored, but in vain, to wash them out. In the third place came the earthquake which cast out the stones of the old foundations, and shook the earth into the trench or cavity dug for the new; besides overthrowing the adjoining buildings and porticoes wherein were lodged great numbers of Jews designed for the work, who were all either crushed to death, or at least maimed or wounded. The number of the killed or hurt was increased by the fiery eruption in the fourth place, attended both with storms and tempests above, and with an earthquake below. From this eruption, many fled to a neighboring church for shelter, but could not obtain entrance; whether on account of its being closed by a secret invisible hand, as the fathers state the case, or at least by a special providence, through the entrance into the oratory being choked up by a frighted crowd, all pressing to be foremost. "This, however," says St. Gregory Nazianzen, "is invariably affirmed and believed by all, that as they strove to force their way in by violence, the <Fire>, which burst from the foundations of the temple, met and stopped them, and one part it burnt and destroyed, and another it desperately maimed, leaving them a living monument of God's commination and wrath against sinners." This eruption was frequently renewed till it overcame the rashness of the most obdurate, to use the words of Socrates; for it continued to be repeated as often as the projectors ventured to renew their attempt, till it had fairly tired them out. Lastly, on the same evening, there appeared over Jerusalem a lucid cross, shining very bright, as large as that in the reign of Constantine, encompassed with a circle of light. "And what could be so proper to close this tremendous scene, or to celebrate this decisive victory, as the <Cross> triumphant, encircled with the <Heroic> symbol of conquest?" This miraculous event, with all its circumstances, is related by the writers of that age; by St. Gregory Nazianzen in the year immediately following it; by St. Chrysostom, in several parts of his works, who says that it happened not twenty years before, appeals to eye-witnesses still living and young, and to the present condition of those foundations, "of which," says he, "we are all witnesses;" by St. Ambrose in his fortieth epistle written in 388; Rufinus, who had long lived upon the spot; Theodoret, who lived in the neighborhood in Syria; Philostorgius, the Arian; Sozomen, who says many were alive when he wrote who had it from eye-witnesses, and mentions the visible marks still subsisting; Socrates, &c. The testimony of the heathens corroborates this evidence; as that of Ammianus Marcellinus above quoted, a nobleman of the first rank, who then lived in the court of Julian at Antioch and in an office of distinction, and who probably wrote his account from the letter of Alypius to his master at the time when the miracle happened. Libanius, another pagan friend and admirer of Julian, both in the history of his own life, and in his funeral oration on Julian's death, mentions these earthquakes in Palestine, but with a shyness which discovers the disgrace of his hero and superstition. Julian himself speaks of this event in the same covert manner. Socrates testifies, that at the sight of the miracles, the Jews at first cried out that Christ is God; yet returned home as hardened as ever. St. Gregory Nazianzen says, that many Gentiles were converted upon it, and went over to the Church. Theodoret and Sozomen say many were converted; but as to the Jews, they evidently mean a sudden flash of conviction, not a real and lasting conversion. The incredulous blinded themselves by various presences: but the evidence of the miracle leaves no room for the least cavil or suspicion. The Christian writers of that age are unanimous in relating it with its complicated circumstances, yet with a diversity which shows their agreement, though perfect, could not have been concerted. The same is confirmed by the testimony of the most obstinate adversaries. They who, when the temple at Daphne was consumed about the same time, by lightning, pretended that it was set on fire by Christians, were not able to suspect any possibility of contrivance in this case: nor could the event have been natural. Every such suspicion is removed by the conformity of the event with the prophecies: the importance of the occasion, the extreme eagerness of Jews and Gentiles in the enterprise, the attention of the whole empire fixed on it, and the circumstances of the fact. The eruption, contrary to its usual nature, was confined to one small spot; it obstinately broke out by fits, and ceased with the project, and this in such a manner, that Ammianus himself ascribes it to an intelligent cause. The phenomena of the cross in the air, and on the garments, were admirably fitted, as moral emblems, to proclaim the triumph of Christ over Julian, who had taken the cross out of the military ensigns, which Constantine had put there to be a lasting memorial of that cross which he had seen in the air that presaged his victories. The same was again erected in the heavens to confound the vanity of its impotent persecutor. The earthquake was undoubtedly miraculous; and though its effects were mostly such as might naturally follow, they were directed by a special supernatural providence, as the burning of Sodom by fire from heaven. Whence Mr. Warburton concludes his dissertation on this subject with the following corollary. "New light continually springing up from each circumstance as it passes in review, by such time as the whole event is considered, this illustrious miracle comes out in one full blaze of evidence." Even Jewish Rabbins, who do not copy from Christian writers, relate this event in the same manlier with the fathers from their own traditions and records. This great event happened in the beginning of the year 363. St. Chrysostom admires the wonderful conduct of divine providence in this prodigy, and observes, that had not the Jews set about to rebuild their temple, they might have pretended they could have done it: therefore did God permit them thrice to attempt it; once under Adrian, when they brought a greater desolation upon themselves; a second time under Constantine the Great, who dispersed them, cut off their ears, and branded their bodies with the marks of rebellion. He then relates this third attempt, "in our own time," as he says, "not above twenty years ago, in which God himself visibly baffled their endeavors, to show that no human power could reverse his decree; and this at a time when our religion was oppressed, lay under the axes, and had not the liberty even to speak; that impudence itself might not have the least shadow of presence." St. Cyril adored the divine power in this miracle, of which he had ocular demonstration. Orosius says that Julian had destined him to slaughter after his Persian expedition, but the death of the tyrant prevented his martyrdom. He was again driven from his see by the Arian emperor, Valens, in 367, but recovered it in 378, when Gratian, mounting the throne, commanded the churches to be restored to those who were in communion with pope Damasus. He found his flock miserably divided by heresies and schisms under the late wolves to whom they had fallen a prey; but he continued his labors and tears among them. In 381 he assisted at the general council of Constantinople, in which he condemned the Semi-Arians and Macedonians whose heresy he had always opposed, though he had sometimes joined their prelates against the Arians St. before their separation from the church, as we have seen above; and as St. Hilary, St. Meletius, and many others had done. He had governed his church eight years in peace from the death of Valens, when, in 386, he passed to a glorious immortality, in the seventieth year of his age. He is honored by the Greeks and Latins on this day, which was that of his death. 2 See Fleury, Moeurs des Chretiens, p. 42. 3 B. 2, c. 28. 4 Ib. 3, c. 26. 5 Ib. 5, c. 5. 8 Auetuar. Combefis, t. 2, p. 382. 10 Sozom. b. 4, c. 24. 11 Apud Theod. Hist. b. 5, c. 9. 13 Hom. 6, adv. Judae t. 1 p. 646 ed. Ben. 14 Amm. Marcell. l. 3, c. 1. 15 Ep. 25, p. 152. 16 Soz. 1.5, c. 22. 17 Naz. Or. 4, adv. Julian. 20 Rufin Hist. l. 10, c 37. 21 Catech. 15. n. 15. 22 Dem. Evang.. 1. 8. p. 406. 23 Out of the very foundations themselves, according to St. Chrysostom, Sozomen, and Theodoret. 24 Theod. Hist. l. 3, c. 20. 25 Soc. lib. 3, c. 20. 26 St. Greg. Naz. Or. 9. 27 Or. 4, adv. Julian. 28 see Warburton, p 88.